Evolving consciousness is the purpose of all life in the Universe. You are an evolving consciousness within the human realms of existence. Gaia is also an evolving consciousness. Each planet, sun, galaxy is an evolving consciousness within the cosmic realms of existence. I love the depiction of the in breath and the out breath of God. God breathed out and here we are on the outskirts of existence. As God breathes in, we climb the evolutionary ladder back to Source. One day we, too, will step into cosmic consciousness. We will, one day, live life as a planet, as a sun. Hard to imagine, isn’t it? As we view life from our tiny human experience, just the thought of cosmic consciousness is almost overwhelming. Yet, right here at our fingertips, indeed, right below our feet and as close as the air we breathe, we have the very consciousness of Gaia herself. Although the very scale of planetary consciousness is mind-blowing, the actual experience of it from our human perspective is quite different. Even on our human evolutionary path, we know that love and service are higher planes of existence. Therefore, it should come as no surprise that when we send out our love to Gaia, we experience her love immediately returned to us. Indeed, the very fact that Gaia provides a home for us is part of her own evolution in cosmic consciousness and exemplifies her great service to humanity. As we tap into her consciousness, she teaches us from her higher wisdom so that we, too, may learn and evolve. This entry was posted in Dreama Vance, Metaphysics, Spiritual Growth on October 16, 2016 by Owen K Waters. 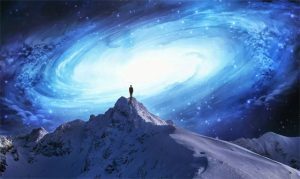 A great shift to a higher consciousness has been accelerating since the 1960s. The progressive portion of humanity is stretching the envelope of human consciousness deep into new territory. As The Shift progresses over the decades ahead, intuition will bloom and people will begin to notice that their five senses have acquired a new subtlety. The Earth will be seen as more beautiful than ever, filled with subtleties of color and perfumes that were always there and yet were never before detected. The spirit of humanity will be focused on peace and hope for a new tomorrow, which will unfold as if it were the arrival of heaven on earth. Tomorrow’s humanity will develop in the direction of cooperation, not competition. People will treat other people as loved ones and as if they were dear family, because they will see the light within each other and know that we are all connected. That which used to be a burden will now become a joy, as people work to help each other and support each other. Gone will be the old way of focusing primarily upon materialistic gain, because people, being heart-centered, will want everyone to have everything that they need and everything that helps make life a joyful experience. It is less than 200 years since the key principles of electric energy were discovered. When the principles of its big brother, etheric energy, are mastered, the door can potentially be opened to a wide variety of long sought-after technologies. These can include abundant clean energy, gravitational shielding, magnetic space vehicle propulsion, protective force screens, teleportation, and, because etheric energy is vital life energy, a wide array of advanced healing technology. Eventually, all forms of toxicity will be addressed and remedied. Gone will be thoughtless pollution by toxic chemicals and the smoke of burning fuels. 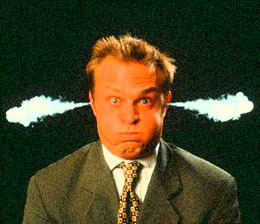 Gone will be the toxicity of human suffering that pollutes the mental atmosphere which we all share. Gone will be the toxicity of fear and all of its disempowering manifestations. Love will be the way, and The Way will be Love. People will see the God within others and hold a sense of allowance for everyone to pursue their own unique spiritual path. Gone will be the rivalries of small-minded religious factions. The new vision of the nature of God will be universal and all-inclusive. Gone will be the toxic need to exert control over others, as the fears which cause this will dissolve and softly drift away with the wind. Humanity will build a world of great beauty in harmony with nature. Nature itself will be honored as a beautiful expression of the Creator. People will give thanks to the consciousness of the Mother Earth which supports us and to the consciousness of the Sun which continually nourishes us with life-giving energy. Most of all, people will give thanks to the consciousness of God for life itself and for the joy that communion with the Divine Spirit brings to our very souls and to our deepest sense of being. This was an excerpt from The Seeker’s Guide to Higher Consciousness – a course filled with insightful wisdom for the emerging New Reality. This entry was posted in Owen K Waters, Spiritual Growth, Spiritual Metaphysics on October 14, 2016 by Owen K Waters. Long ago, the first time I read the ancient Tao Te Ching (pronounced “Dow Day Jing”), I ran into so many apparent contradictions that I felt like I was going cross-eyed with confusion! I have not been alone in that type of feeling. To most Western minds, the nature of the Tao is a huge mystery that makes little or no obvious sense. I ran into statements that suggested that the Tao was manifest as everything in the world and, yet, the Tao was nothing and nowhere. Well, which is it, I thought, everywhere or nowhere? The problem lies with the limitations placed on Western translators, as they are part of a cultural tradition which rarely teaches that there is an original state of unchanging, perfect beingness that lies behind even the Creator. 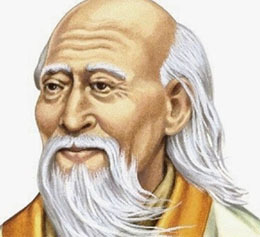 In the 6th Century BC, the sage Lao Tse (“Lay-OTE-say”) is said to have written the Tao Te Ching, which became fundamental to philosophical Taoism. The word Tao is usually interpreted as meaning The Way, although it can also mean The Principle or The Doctrine. However, none of these interpretations address its true nature. Translators to English find themselves forced beyond literal translation and into interpretation because characters written in the original Chinese often have multiple meanings and need to be distinguished in context with one other. Because of this, the original intent of the message may not even be immediately apparent. The Tao, by definition, existed before Heaven and Earth. It is said to be still, formless, standing alone and undergoing no change. It is both larger than the largest thing and it is within the smallest object. The part that really trips Western translators up is the idea that the Tao is simultaneously perfectly still and yet constantly moving. Ideas like this are confusing enough to stop a logical mind, short-circuit some brain cells, and make smoke start to curl slowly up out of a person’s ears! In Western culture, we generally lack an appreciation of the original nature of God as unchanging beingness. In our action-oriented culture, we think of the Creator as the One God. Typically, unless you studied Eastern philosophies or some branches of metaphysics, then you were never made aware of the state of beingness which is behind even the One Creator. The Tao is the unchanging, perfect consciousness which is behind all things. The Tao is pure, tranquil beingness, and it formed the Creator as the aspect of itself which would take action and experience change. Taoism is not alone in studying the original, unchanging beingness behind all things. The same concept appears in Hinduism as the still, silent Brahman, or Godhead, behind the creative Trinity of Brahma, Vishnu and Shiva. The Three produced all things. This means that the unchanging beingness produced the One Creator. This aspect then saw that it was necessary (using Genesis terminology) to divide the ‘waters’ of its consciousness into two aspects. These different and complementary aspects were the principles of thought and feeling. A third aspect was still needed, which was the principle of motion, which allowed the command, “Let there be light!” to create the original template of the universe. The three aspects of the triune nature of the Creator then worked in harmony to create the universe and all material within it. Students of modern metaphysics are familiar with the concept of a beingness which is behind all things. It has been referred to as the Absolute, the Isness, the ‘I Am’ Presence, and ‘the All That Is which is behind all things.’ My own choice of words is Infinite Being. All of these terms refer to the same perfect, unchanging beingness which is behind everything. The universe exists within the field of silent consciousness of Infinite Being, so its essence is within everything in the world. That silent Isness is the ground state of consciousness behind all life. Because of its silent, unmoving nature it could be referred to as being ‘nothing and nowhere,’ at least to our physical sense of awareness. The Creator and its creation exist within Infinite Being. Therefore, Infinite Being is within all things. The unchanging is within everything in the changing world. Yet, our physical senses will never detect this underlying, unchanging oneness. It is only through developing an inner connection that we will discover that which is behind all things. The Tao is manifest as everything and yet the Tao, in the world of material senses, appears to be nothing and nowhere. So, the message of the Tao Te Ching is to develop an inner connection with that which is real and then the manifest world – this world which is unreal in comparison – begins to make sense. This entry was posted in Metaphysics, Owen K Waters, Spiritual Dynamics on October 1, 2016 by Owen K Waters.